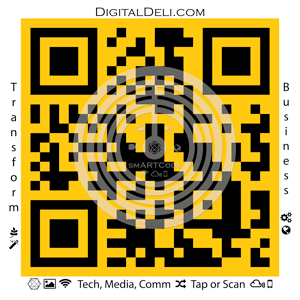 The Digital Deli B4B has assembled powerful tools, technologies and techniques to help stake your claim in the global digital information economy. Digital Transformation is a process of adapting to technological advances to improve efficiency, decision making, market share, customer satisfaction and profitability. We are digital creatives, systematic thinkers and technologists who design, develop and deploy 21st century solutions to advance our world. Digital Strategy: sets the course for a clear execution path to save time and money. Digital Pipeline: suite of advanced technologies to turn data into results. Digital Solutions: framework for harnessing the digital economy to reach targets and increase bottom lines. Digital Deli Studios: mixed media lab producing high quality media content. Think Tank: advanced technology integration research & development. A digital framework for creating a geospatial gateway into your world. Think of it like your own scenic byway. Advances in technology allow digital tourism ecosystems, of any size, to form and grow. Media, technology and communications expose rich assets. On demand interactive engagement, self discovery and lifelong learning are powering 21st century tourism visitor attraction. Create a Geospatial Gateway to power your world. Learn more. smART Health Media™ is a long range program designed to transform the way media is used in a 21st century healthcare setting. Patient, provider and worker are represented in a dynamic framework to augment human performance. Evidence based research, advances in cognitive neuroscience, accelerated learning and just in time knowledge transfer hold the promise of meeting increased demand and delivering superior service. Learn more about programs available and ongoing R&D. Geo-Tourism | Eco-Cultural Heritage: a child asks her mother a question. The mom's response is as educational as it is entertaining. Think of the Digital Deli Cloud™ as a power plant where your vision is transmitted for consumption securely to any device. Just add content, mix and you are ready to go. A pure silicon solution with no moving parts on a 40Gbps backbone with IPv4 & IPv6. High level TLS, always on encryption and authentication @ Gen–3 Cloud™. Consistent Research & Development with a firm handle on future trends for advanced technology integration has allowed the Digital Deli Business Innovation ∴ Think Tank (BITT)™ to conceptualize and design next generation Media, Technology and Communications solutions, vertically integrated for use in: education; entertainment; healthcare; travel tourism; smart cities of the future; IoT, M2M, AI sensor networks; location based services (LBS); advertising, marketing and promotion.